This was the 3rd course of a private supper club event in Ajijic, Mexico. It was the overwhelming star of the night. Nobody expected something like this for dessert! 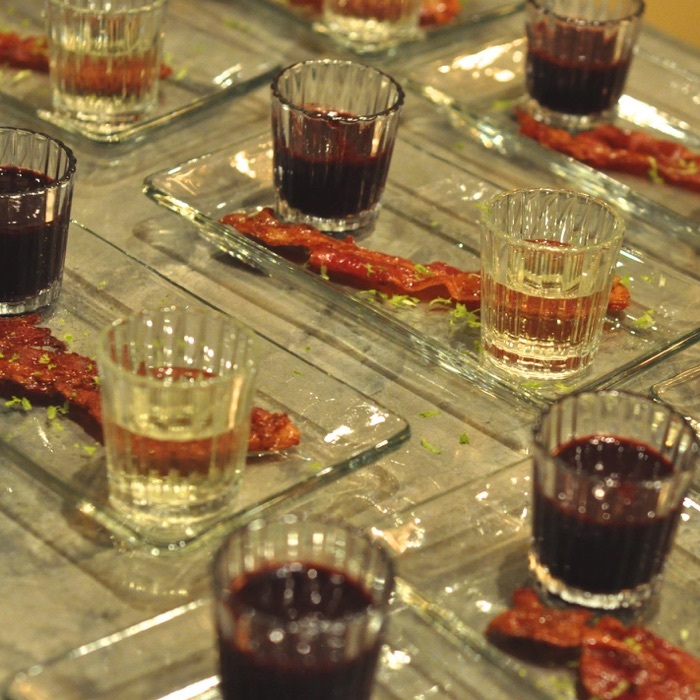 Mexican rum candied bacon was the chaser for the Herradura Antiguo Reposado tequila. That was paired with a fresh blueberry, habanero, lime and ginger sangrita!